Wooden pallets are used for freight shipping all over the world. They can be painted or bathed in diesel fuel & used motor oil for termite and bacteria resistance (how we do it in Mexico). We have a tank made of rammed earth tires that holds 300 gallons of oil. The pallets stay in the tank 1/2 day and become untasty for the bacteria and insects that possibly feed on them. Combined with other materials, they make sense to employ. With steel or carrizo reinforcement, once mudded over, they are like a modular wattle and daub system. 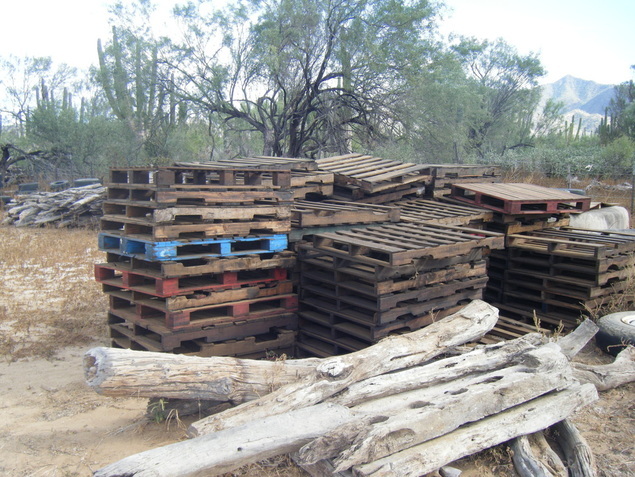 Our diesel and motor oil treated pallets. Because of their use in industry to ship any and all products, we should be careful about selecting pallets that haven't been contaminated by chemicals and other poisons. Good, clean "skids" should be fairly safe to use. Thousands of them support many benign products that couldn't cause any harm. Reciprocating electric saws work to separate pallet parts and reuse the boards for other things. 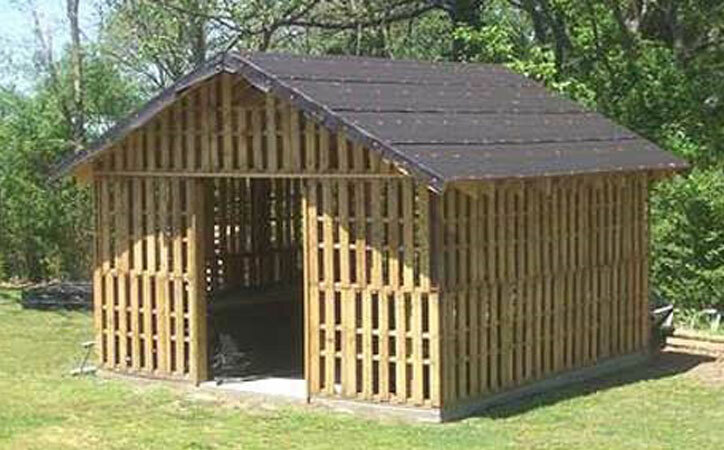 Two classes of wood are used to make pallets....softwoods and hardwoods. The hardwood type can be of oak, alder, and other species of trees. Some are very hard to nail and must be pre-drilled to allow the nail to enter but the hardwoods usually are very strong.